The PERRIN Performance WRX Short Shifter Adapter uses a unique way of shortening your shifters throws with out replacing or cutting the length of the shift rod. Our easy to install shifter adaptor makes your shifts feel solid and positive. This should be the first part you put on your car to improve your driving experience. The PERRIN shifter allows for a 0%-50% reduction in shifter throw, reducing the distance you must move the shifter lever to enter the next gear. Simply loosen the set screws, adjust the adapter and retighten the set screws. It’s that simple. PERRIN bushings eliminate most of the sloppy feeling during quick gear changes, giving the driver a more precise feel when shifting; especially that crucial 2nd-3rd shift. PERRIN Shifter bushings are a hard polyurethane bushing which simply replace the OEM rubber shifter bushings that install with simple hand tools. 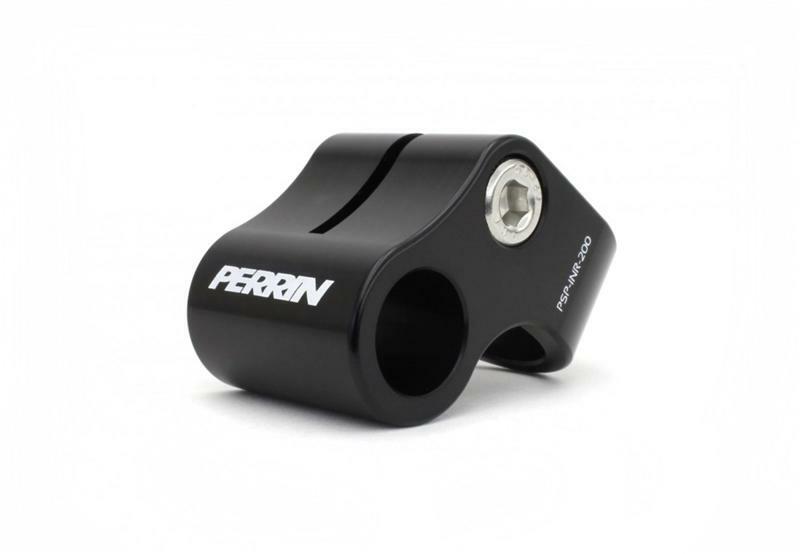 The PERRIN shifter adapter is CNC Machined from a single piece of 6061T6 Aluminum. The shifter is anodized black and includes Stainless steel hardware for a lifetime of corrosion free performance. You will never see rust on your PERRIN Shifter Adapter! The PERRIN shift adaptor is easy to install with one of the quickest install times of any 6 speed shifter. Simply add the adaptor to your shifter and drive.